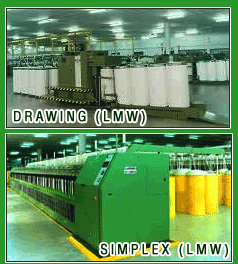 Divya Spinning Mill Private Limited was started during the year of 1999. DSM was promoted by following eminent industrialists from Tirupur to manufacturer Hosiery Yarn Santhipalayam, Gobi Main Road, Gobichettipalayam. DSM with installed capacity 36288 spindles. And engaged in manufacturer Comber Hosiery Cloth and Yarn both for their associate concern and for local market. DSM have success-fully implemented the envisaged production capacity of - 36288 spindles in scheduled time. 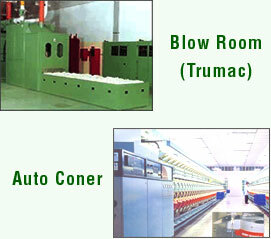 DSM have installed machineries purchased from reputed concerns like TRUMAC,LMW and RJK. Production Capacity - 20000/Kgs Per day. Counts : 40s' 39s' amd 30s. » Carding (Trumac DK 780) 22 Nos. » Comber (LMW LK-250) 29 Nos. » Lab MAchine (LMW) 10 Nos. » Drawing (LMW) 11 No. » Simplex (LMW) 12 Nos. » Spinning (LMW LR6/5) 36 Nos. » Auto coner 6 Nos. » Winding (RJK) 7 Nos.